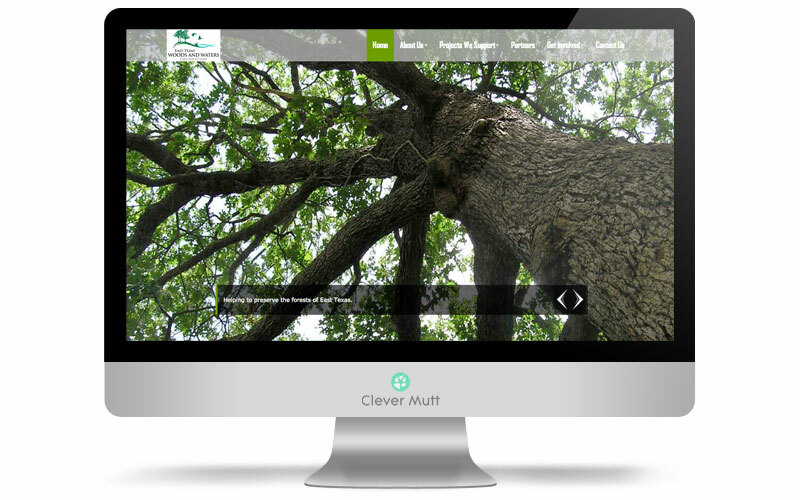 "Clever Mutt™ did a great job developing our website. It was prompt and professional. We were not familiar with the process, and Clever Mutt™ walked us through the options. 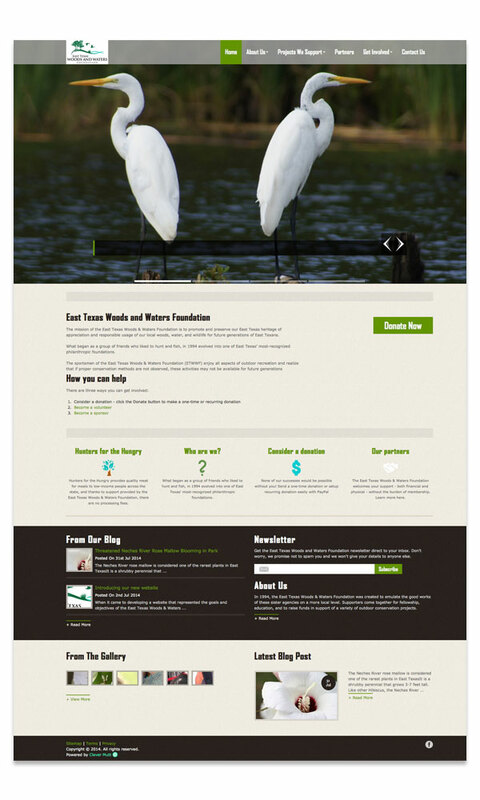 We now have a great website." 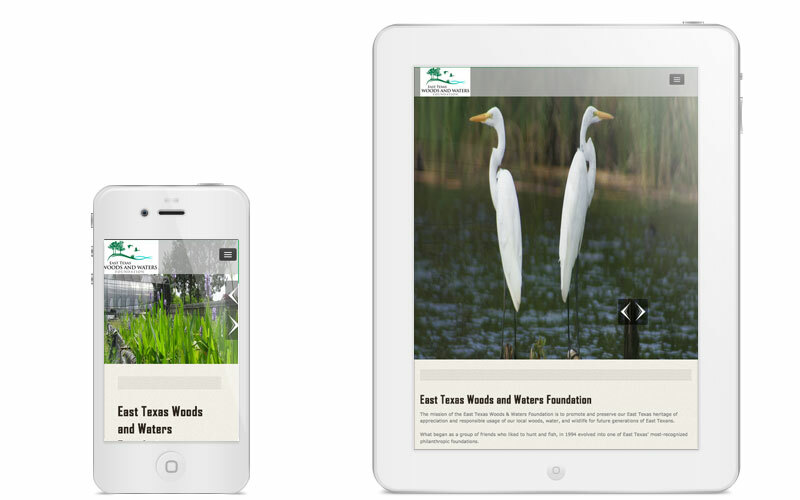 East Texas Woods & Waters Foundation hired Clever Mutt™ to provide a brand new modern and responsive website design powered by the Clever Mutt™ Portal web CMS. The site has Clever Mutt™ Mail email newsletter marketing integration, PayPal donation integration and features many useful items including galleries, albums, a blog, social media integration and much more.